These events are dedicated to the many chefs who have shaped our culture and our palates. In these "Chef Spotlight Dinners" a specific chef or chefs are highlighted. Since the birth of Food Network tv, our culture has embraced food even more. This month, let's prepare a recipe from your favorite Food Network celebrity and bring it to the event to share! 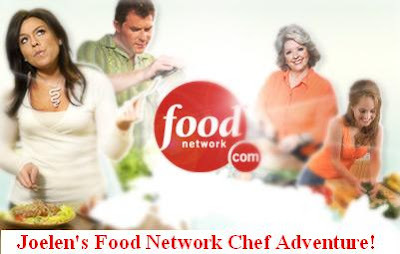 BLOGGERS: Share a Food Network TV dish for this blogging adventure! 1) Make a dish using a recipe of a Food Network TV chef and create a blog post about it from now until the midnight, September 14th.